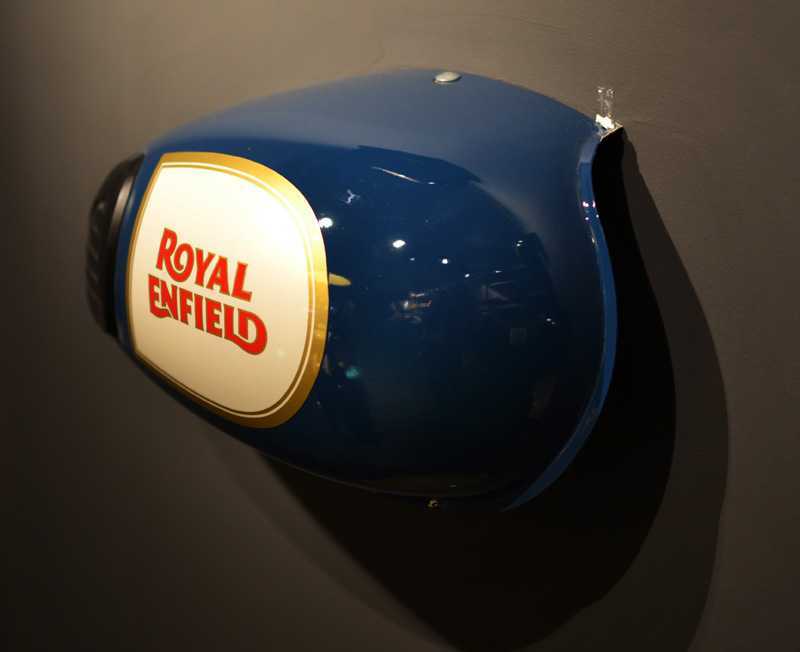 Royal Enfield has continued with the planned expansion of its footprint in the UK by opening a second exclusive store in London. 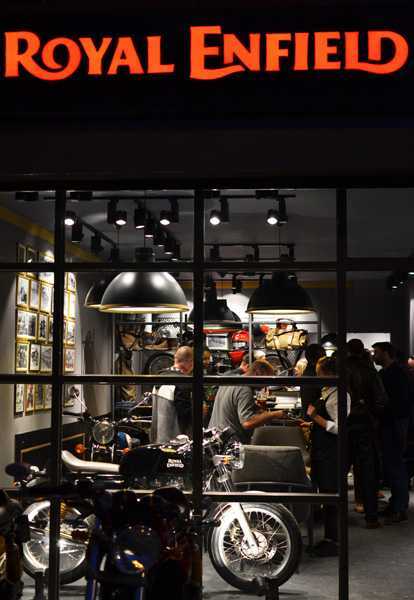 The store, in Mitcham, South London, will stock a full range of the marque’s motorcycles as well as clothing and accessories from their official range, including the new ‘Dispatch Rider’ collection inspired by military riders from the days when the company’s machines were manufactured in the heart of England. 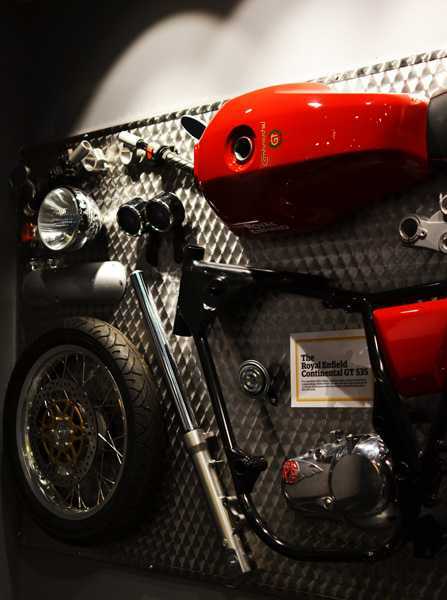 Based on the company’s global ‘man cave’ inspired theme, the new store forms part of existing dealer Hartgate Motors, and features soft furnishings, minimalist clothing racks and photographs displaying Royal Enfield’s rich heritage. Not forgetting motorcycles of course. A montage of parts from the Continental GT535 creates a classic backdrop to a wide selection of branded lids and designer bags, jackets, boots, gloves and shirts, all very much ‘on trend’ for the modern biker about town. 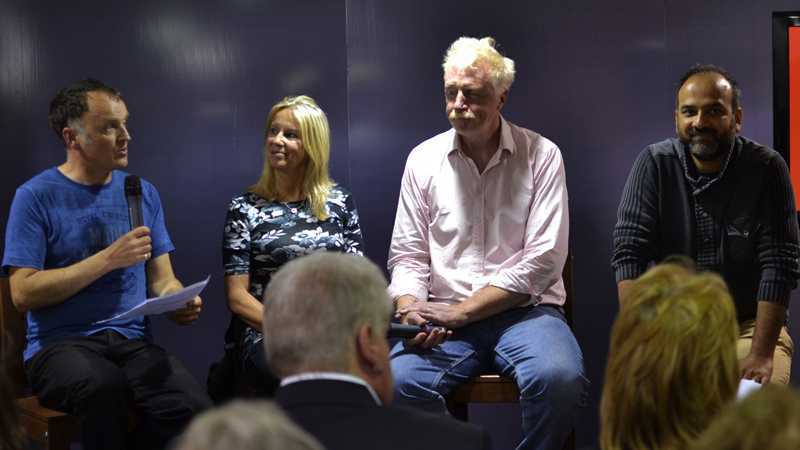 Renowned ‘Enfieldistas’ consisting of motorcycle historian Gordon May, the motorcycle travel writer Geoff Hill and TRD’s own circumnavigator Jacqui Furneaux, provided the invited audience with insights into what sets Royal Enfields apart from other breeds, and later answered questions before being joined by company President Rudy Singh. (L-R) Motorcycle historian Gordon May, round-the-world rider Jacqui Furneaux, moto-travel-journalist Geoff Hill and Royal Enfield President Rudratej ‘Rudy’ Singh. Singh explained that Royal Enfield is part of the world’s fastest growing automotive company, Eicher Motors, and reported the company had recently achieved its best ever sales results in a single quarter – 106,613 units – a growth of 43.8% over the same period in 2014. 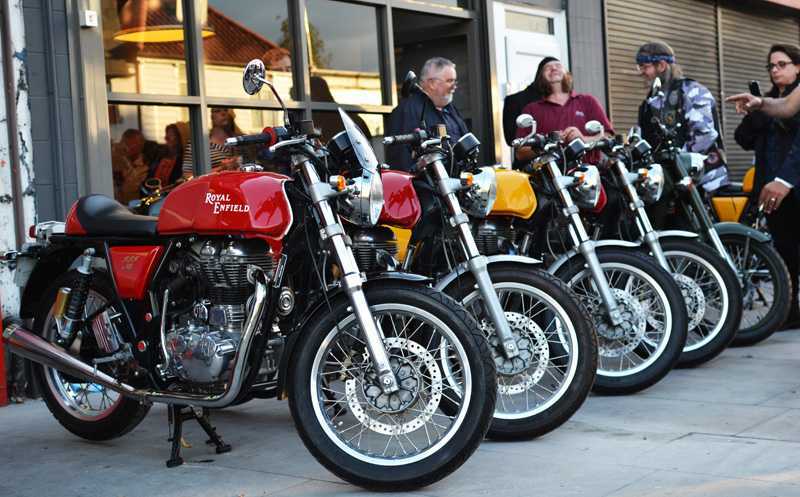 Singh also acknowledged that the UK is Royal Enfield’s spiritual home, and having acquiring the legendary tuning house Harris Performance earlier this year, the company is now developing a new technical R&D centre in Leicester, where they are ‘working on two new platforms’. 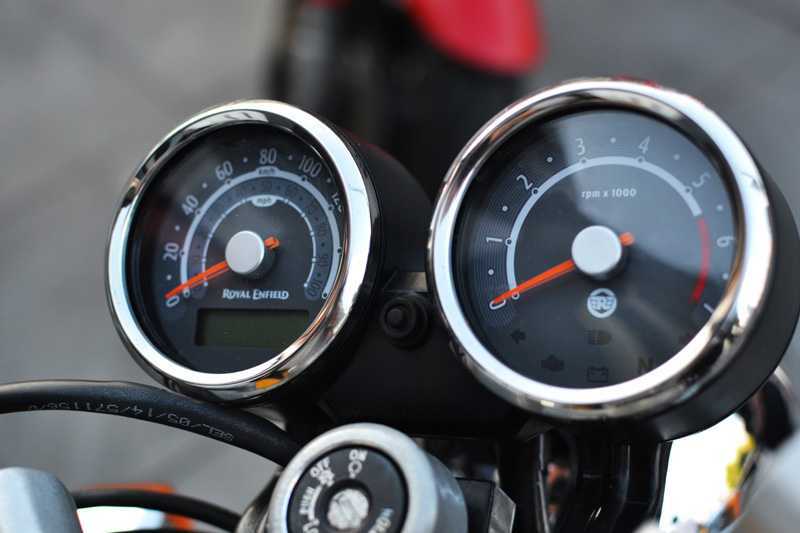 However, despite stating that ‘We see a huge opportunity for us to develop and own the mid-size motorcycle segment [250-750cc] within the UK’, Singh smilingly refused to speculate on timescales and indeed whether or not a new 750cc twin was in the pipeline. Amongst various Royal Enfield and travel related topics discussed by the other panel members, Jacqui Furneaux calmly spoke of her time aboard a boat travelling between Malaysia and Indonesia with her beloved Enfield Bullet, sleeping with a knife under her pillow as the captain had threatened to kill her! 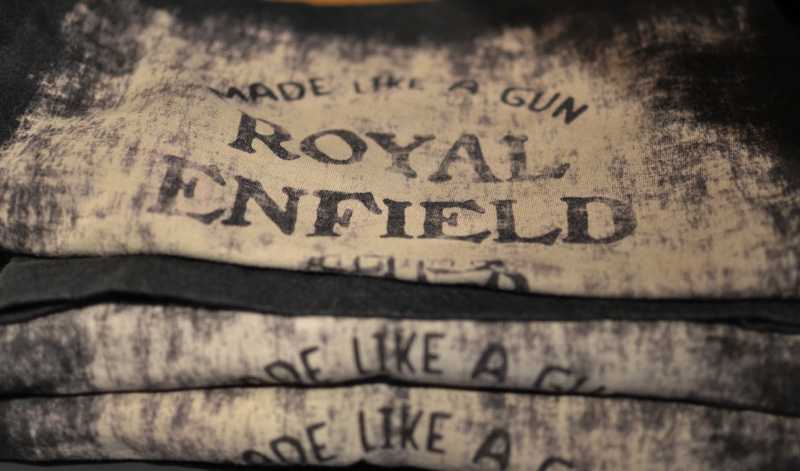 The seeds of Royal Enfield as a motorcycle manufacturer were sown in 1891 when R.W. Smith and Albert Eadie took over the Townsend Cycle Company, in Redditch, Worcestershire. The name ‘Royal Enfield’ was created two years later when the business, by then known as ‘Enfield Manufacturing Ltd.’ developed into a supplier of precision engineering components to the Royal Small Arms factory in Enfield, Middlesex, from which the company slogan ‘made like a gun’ is derived. The RSA factory continued until the 1980s as a separate entity, producing ground breaking weapons such the Lee Enfield rifle as well as Bren and Sten machine guns. 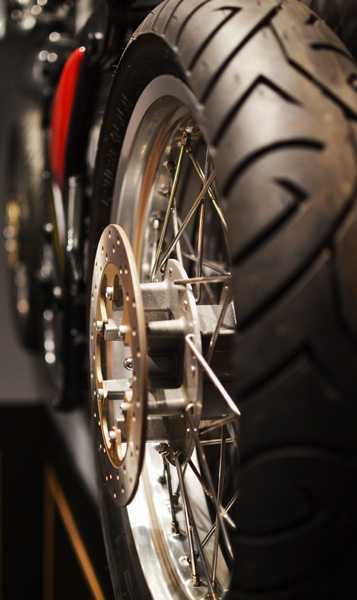 The first motorcycle was produced by Royal Enfield just after the turn of the century in 1901, complete with a 1.5hp Minerva engine mounted in front of the steering head and driving the rear wheel via an elongated rawhide belt. 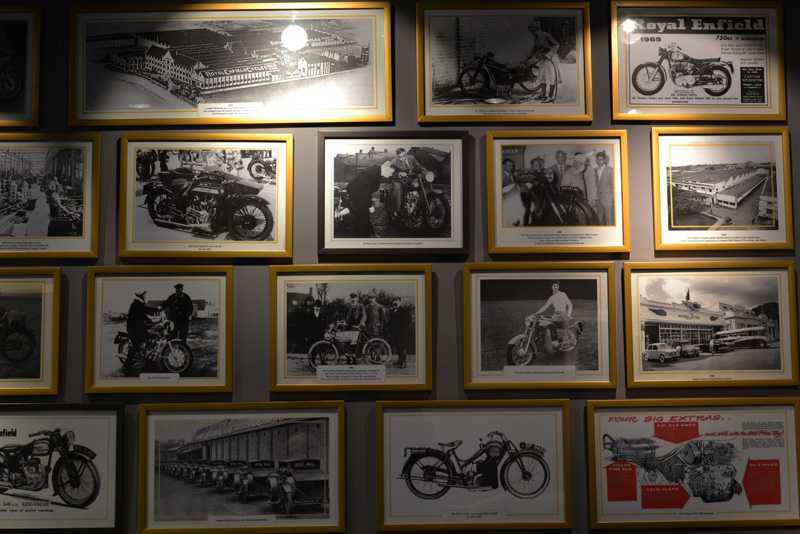 While production of motorcycles continued in the UK for almost seventy years, the company’s long association with the Indian subcontinent came about in 1949, when Indian entrepreneur K.R. 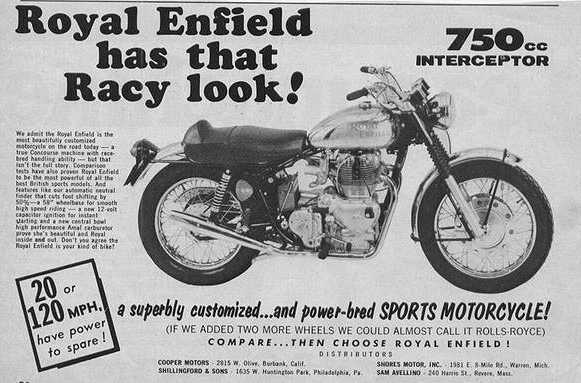 Sundaram Iyer formed the company Madras Motors Ltd. to import British motorcycles into India, namely Norton, Matchless, and of course Royal Enfields. 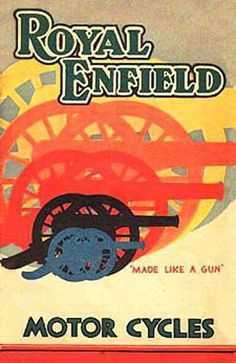 Six years later following a large order to supply the Indian Army with 800 350cc Bullets, Madras Motors Ltd. became partners with Royal Enfield to form ‘Enfield India’; starting production of Indian built bikes in a newly built factory at Tiruvottiyur, near Madras. But by the mid-1960s production at Redditch had slowed and was limited to the 250cc Continental GT and the 736cc Interceptor. When the Redditch plant closed down in 1967 production of the Interceptor continued at the company’s subterranean plant at Westwood Quarry in Bradford on Avon for a further three years until Royal Enfield went out of business. 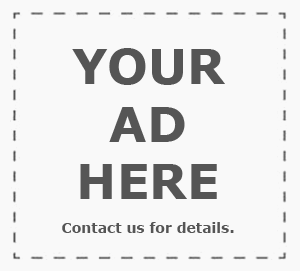 In 1977, the company – by now known as ‘Royal Enfield India’ – began exporting the British designed 350cc Bullet to the United Kingdom and Europe, finding favour with British bike fans, introducing the 500cc Bullet in 1989. 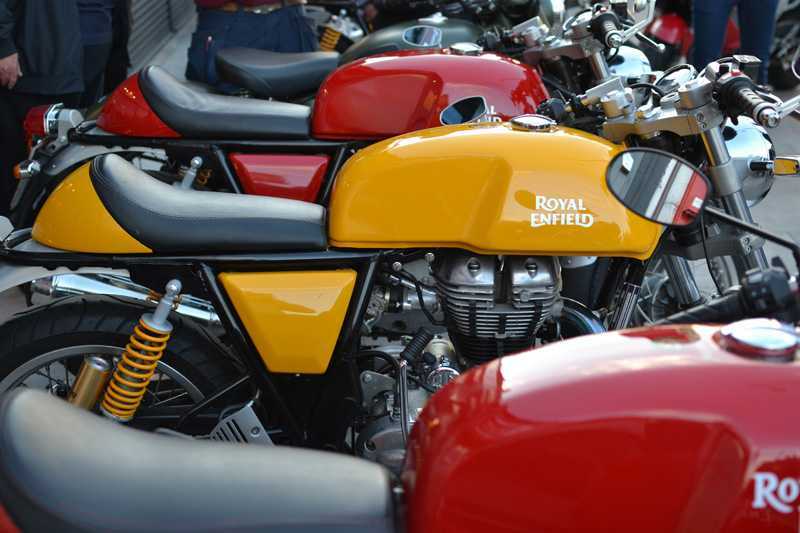 The company was renamed Royal Enfield Motors Ltd following its acquisition by the Eicher Group in 1994. The rest is of course history, and with record sales and an ever expanding range of models based on increasingly refined evolutions of the 350 and 500 single engines, the company’s intentions to establish itself as a major player in the UK and Europe are further reinforced by the relocation to London of CEO Siddhartha Lal. With exclusive stores in Bethnal Green and Mitcham now open, (and more no doubt to follow) Harris Performance on board and Guy Martin’s resounding endorsement of the motorcycle he rode in the TV series ‘Our Guy in India’, Royal Enfield clearly have their sights set on becoming the big guns.